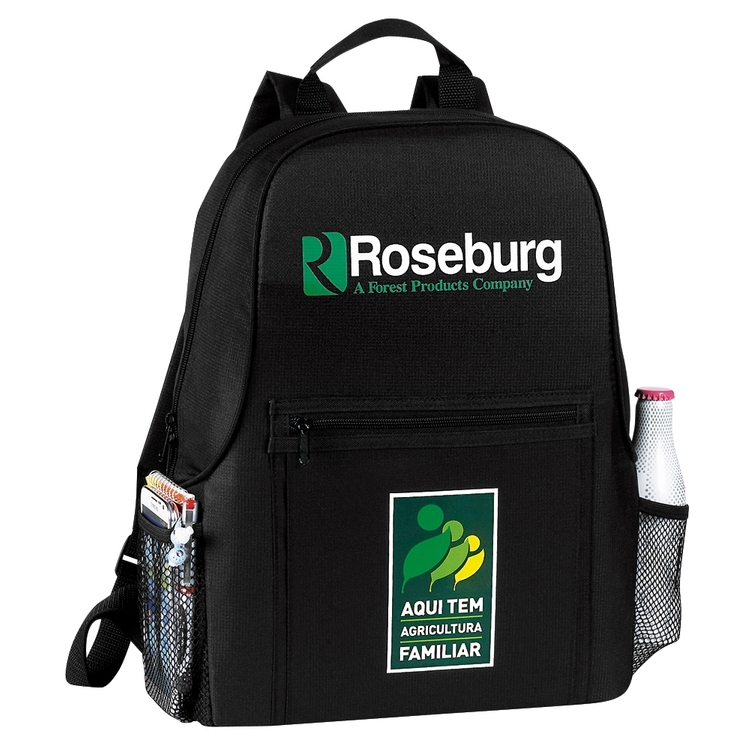 Make your next giveaway special with this Walk Over backpack! It's a simple design with functional style that will be the perfect promotion to offer students or travelers. 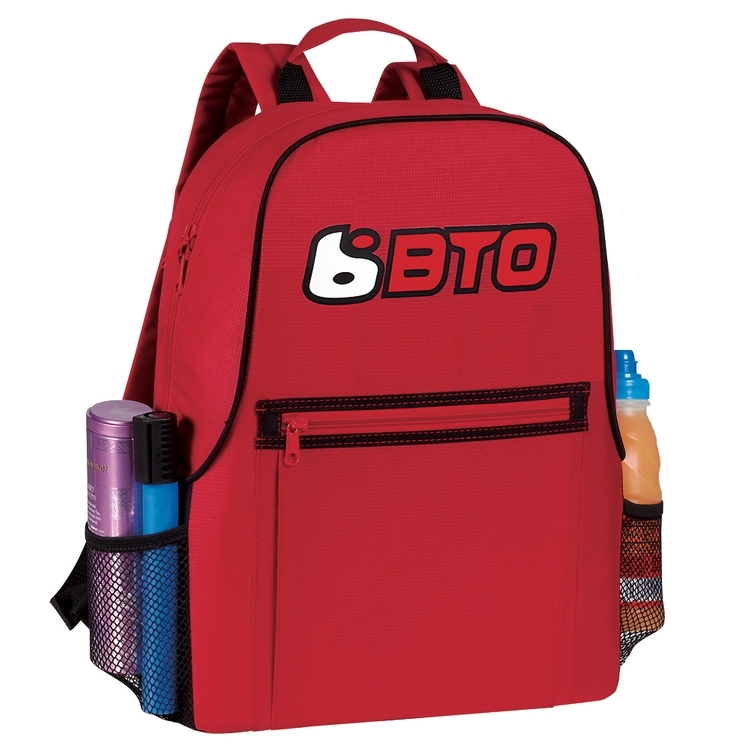 Features include a dual zippered main compartment, front zipper pocket with gusset, one elastic sided mesh pocket on each side, and padded adjustable shoulder straps. This item measures 12" x 16" x 5" and comes in black, royal blue, red, and gray. Choose from any of these colors and have it imprinted with your company name or logo via silkscreen. 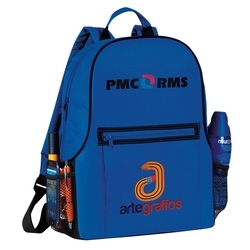 Have your customers carry your brand to new heights! 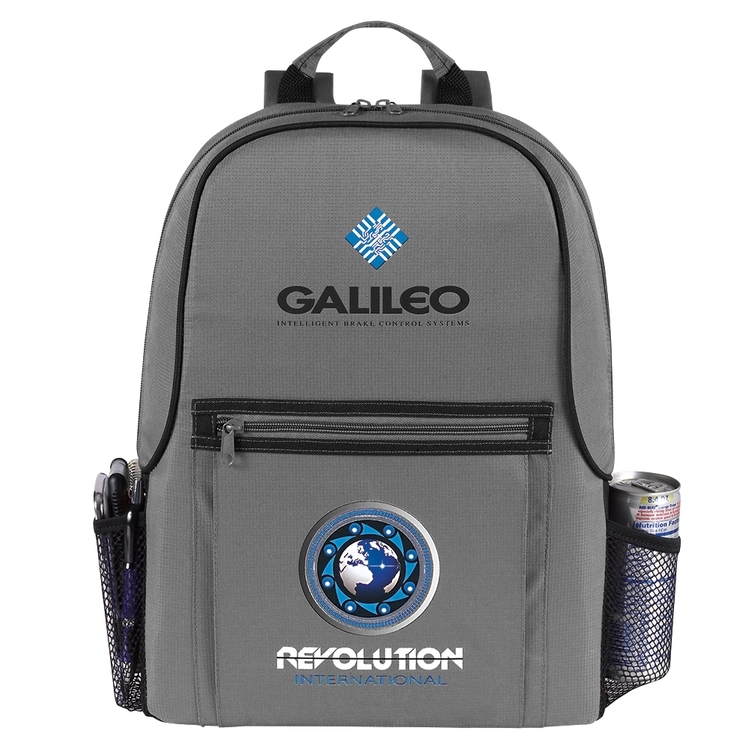 Embroidery, Heat Transfer, Spot Transfer is available at an additional charge.